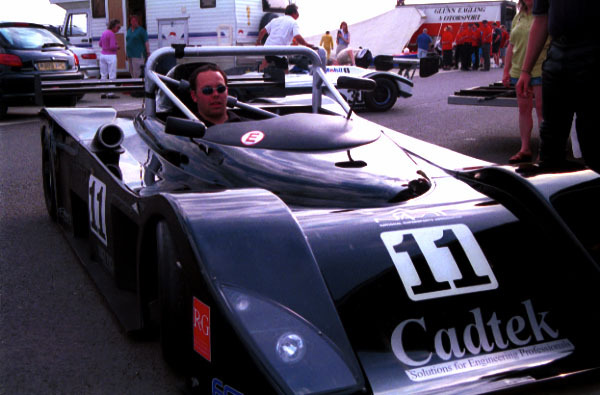 The Juno Racing Ltd SS2 Supersports car, which was an evolution of the successful SS1, may look similar to the SS1, but under the skin it is very different. 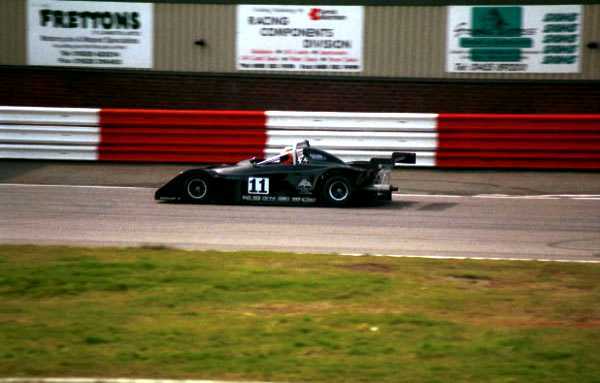 The chassis is new and uses the new Hewland FTR 6 speed sequential gearbox. 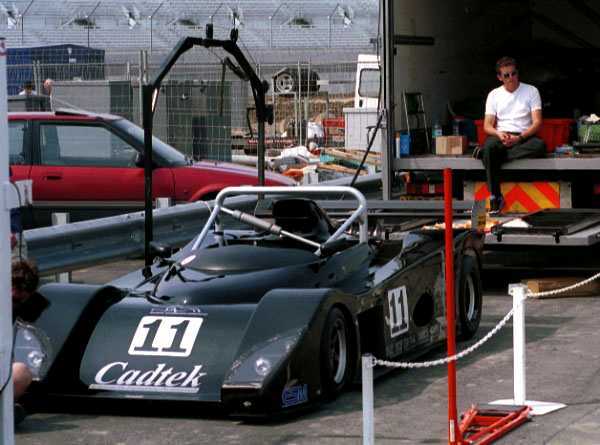 The chassis was also made wider in order to make the car useable for passenger rides and instruction. 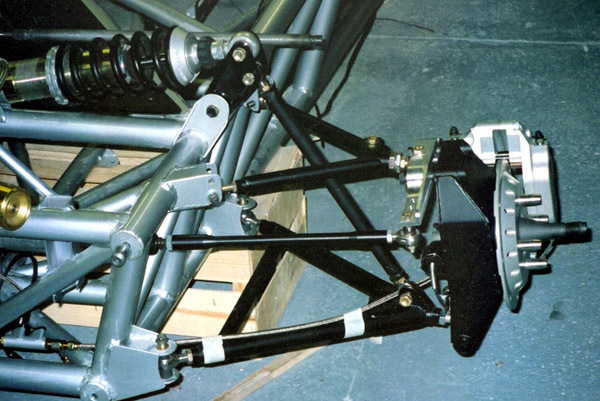 A billet aluminum front bulkhead was designed, onto which bolts all the steering and suspension components. Although the car has an increased wheelbase to make room for the new gearbox, it tops the scales at just 510kg (1124 pounds) which represents a 25kg (55 pounds) weight saving over the SS1. 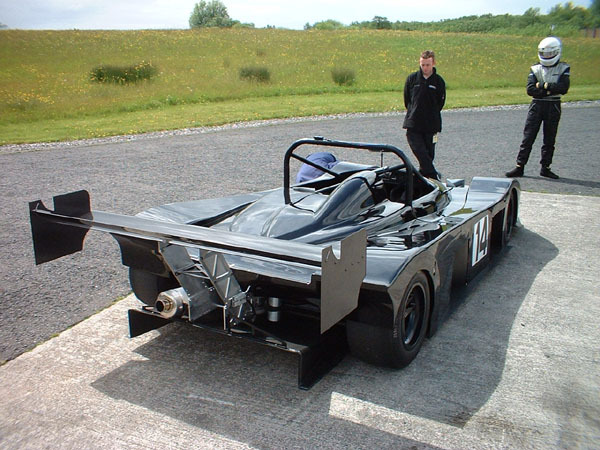 The Juno Racing Ltd SS1 sports prototype racing car has been built to compete in the UK National Supersports championship. 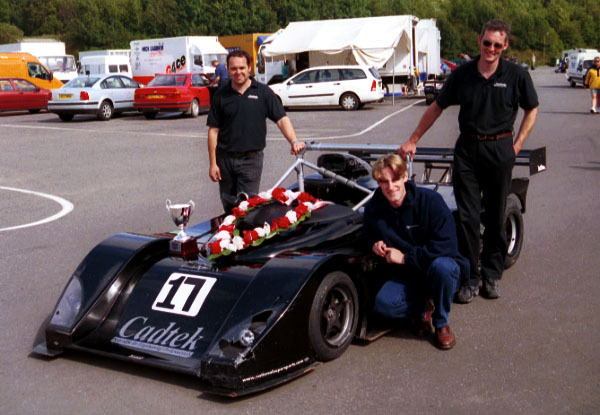 The car has been designed with versatility in mind and can be configured to suit a range of championships and formula. 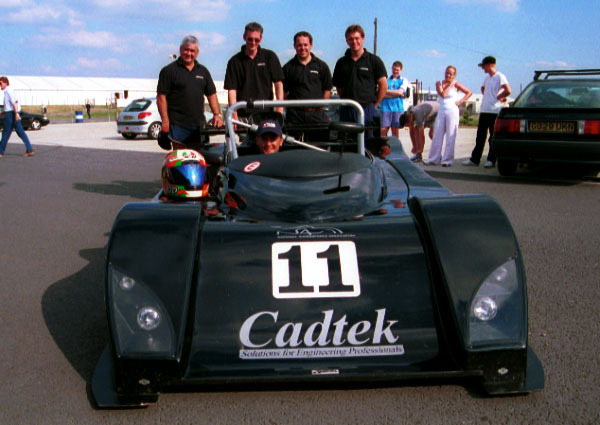 The following technical specification describe the configuration of the car, as seen at the Autosport International show 2001. 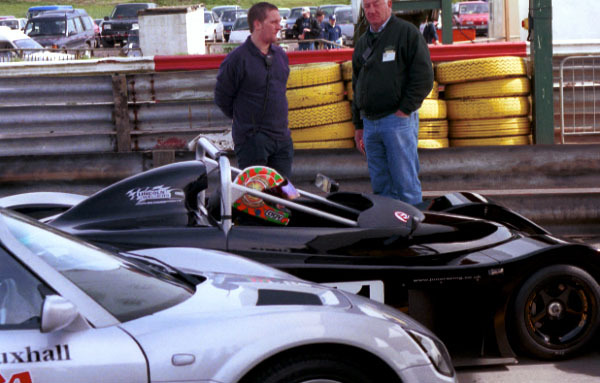 Overall Weight: 510kg (1124 pounds) excluding driver in National Supersports spec. 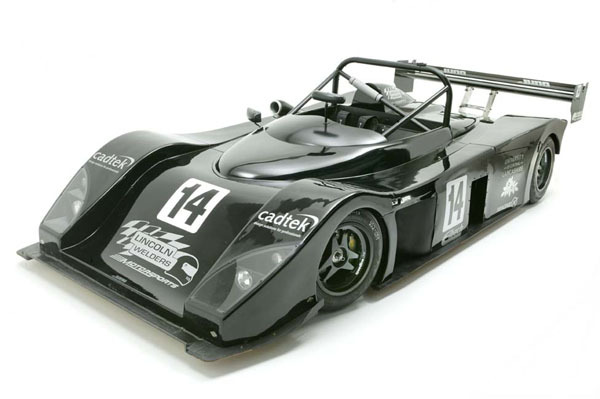 �35,000 plus VAT for a car built to National Supersports specification less engine. 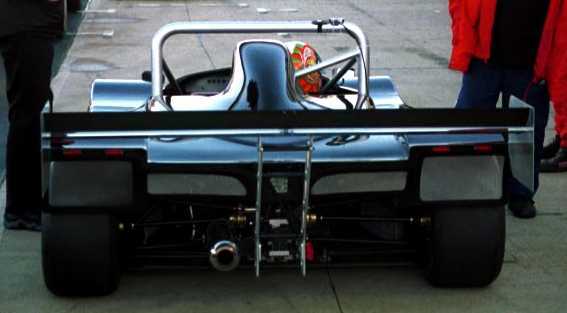 The chassis is a steel tubular space frame of construction as mandated by National Supersports regulations. The material used is CDS (Cold Drawn Seamless) steel tube of varying dimensions. Higher specification T45 tubing can be used on request. 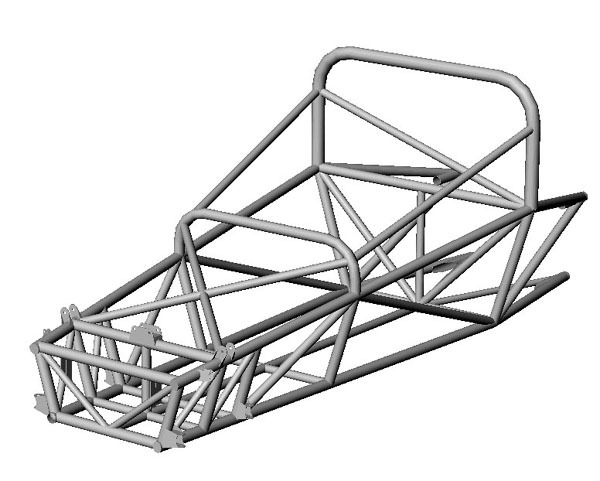 This could lead to a small weight saving in the chassis construction. 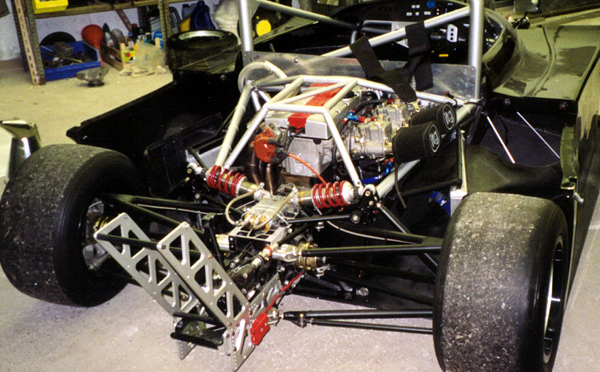 During the design phase, the fundamental chassis layout was subject to many hours of computer based stress analysis in an effort to improve the stiffness to weight ratio of the chassis. The end result is a chassis with a torsional rigidity in excess of 22,000 Nm/deg and an overall weight of just 65 kg (143 pounds). 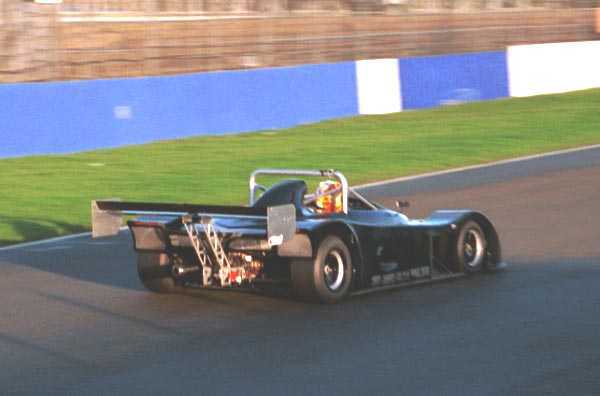 The basic suspension layout is un-equal length double wishbones front and rear. Pushrods operate billet aluminum machined bell cranks that in turn actuate Ohlins 46HRC double adjustable dampers and Eibach springs. Uprights, front and rear are steel fabricated units, offering excellent installation stiffness, bearing retention as well as being lightweight. 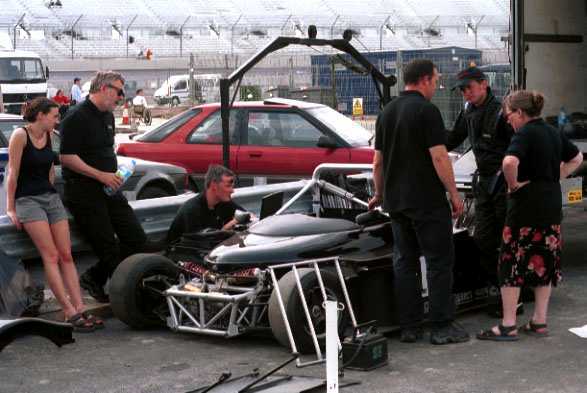 Wishbones are made from 4130 steel alloy tubing. 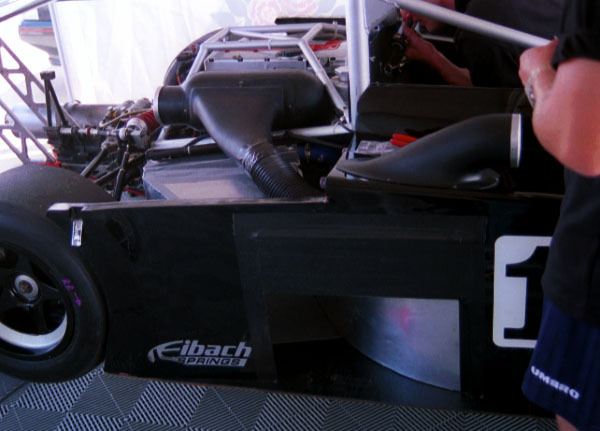 Aero-section wishbone tubing is also available at an increased cost. All spherical joints are either Silverline or Goldline Ampep bearings. Adjustable switchblades control roll. Cockpit adjustment is possible if required. Camber adjustment is made by the adding or removal of laser cut shims. 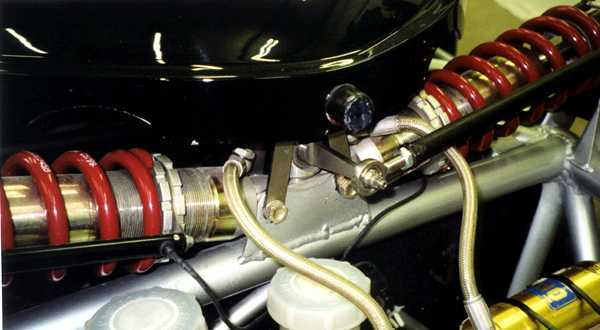 The shims are fitted between the billet machined steering arm and the upright. 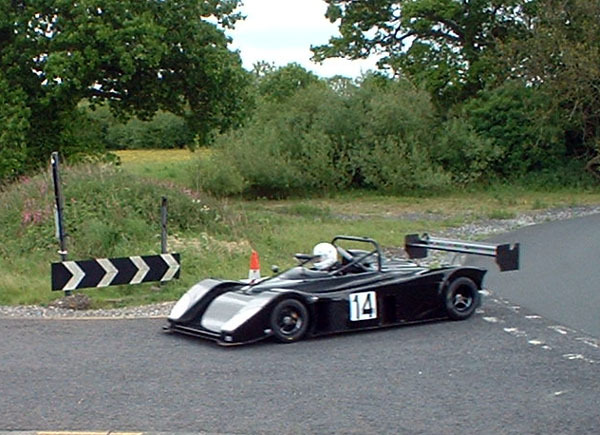 With multiple wishbone pick-up points, the car can be set up with anti-dive and anti-squat geometry as required. The rear suspension is mounted via a billet machined aluminum shear plate. This ensures dimensional accuracy of the suspension installation and therefore eases car set-up. Customer cars will also benefit from the same concept at the front end of the chassis, following a re-design of the method for suspension mounting. 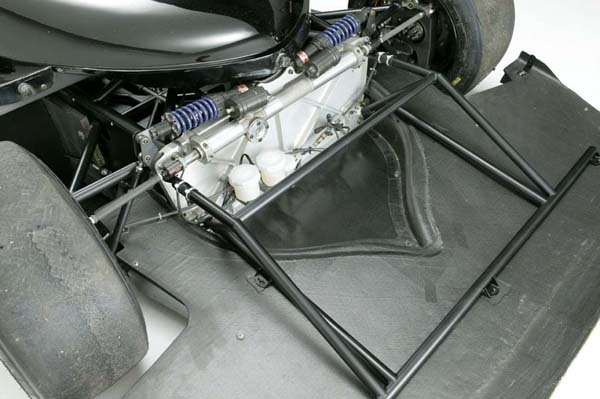 The new design features a similar shear plate fitted to the front of the space frame, onto which bolts the wishbones, steering rack, dampers, bell cranks and pedal box. 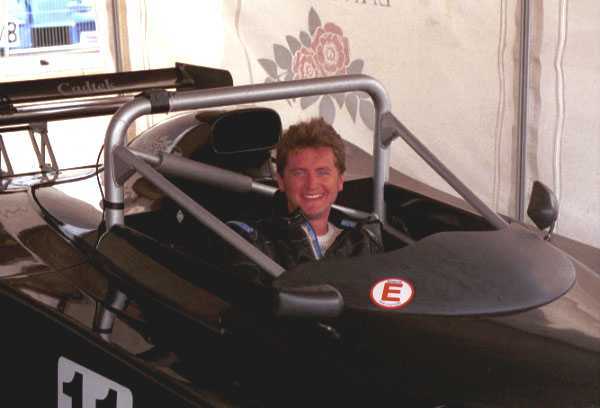 The car is currently fitted with a Vauxhall 2.0 litre XE engine that has been tuned to National Supersports regulations. 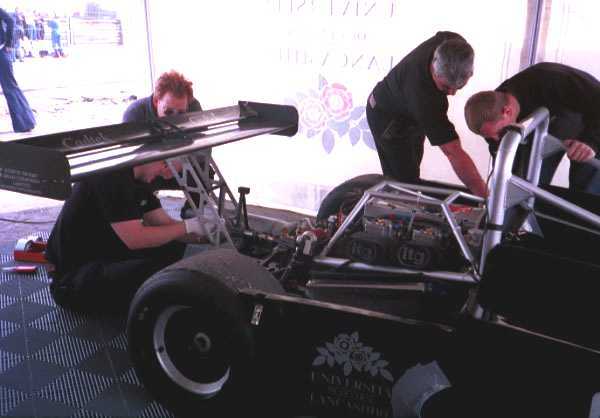 The engine is dry-sumped and has been fitted with cams of unique profile designed for the National Supersports championship. 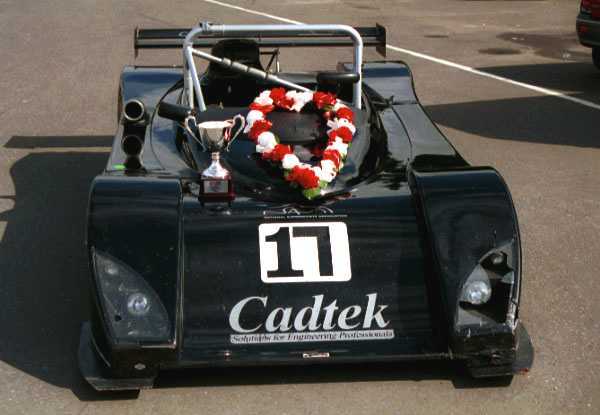 An MBE ignition box and twin Weber 45 DCOE carburettors result in power output of around 220 bhp. 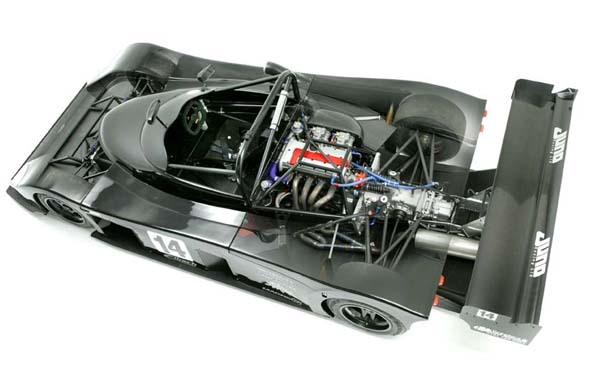 The engine bay is very adaptable and the chassis could accommodate anything from a Suzuki Hayabusa bike engine through to a V8. 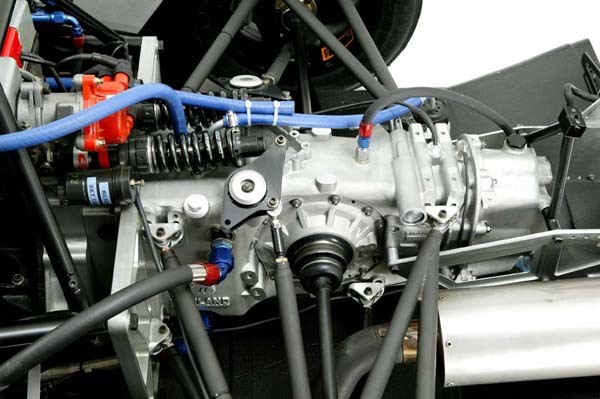 The Juno Racing Ltd SS1 car uses the Staffs Silent Gears Kwikshift 5-speed trans-axle gearbox. Although an H-pattern shift is fitted as standard, to comply with National Supersports regulations, a sequential shift mechanism can be fitted with very little additional cost. 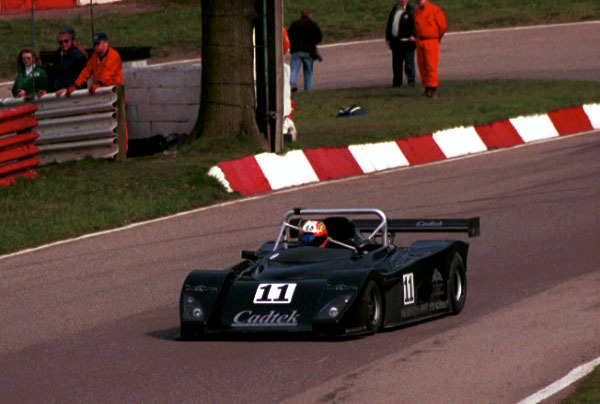 The gearbox has been used in the National Supersports class for many years and proves to be very durable. 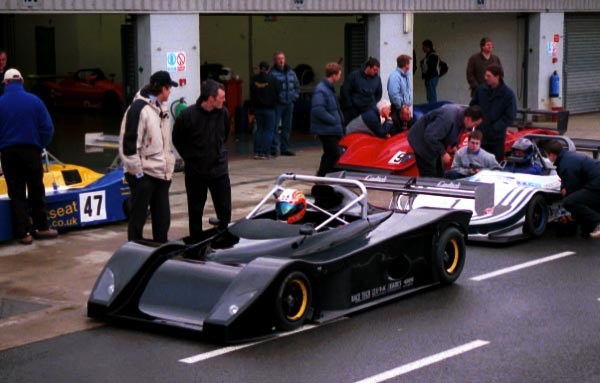 Hewland Mk-9 ratios are used and are readily available. This gearbox is probably nearing its performance envelope transmitting the 220bhp from the Vauxhall engine that is currently fitted to the car. 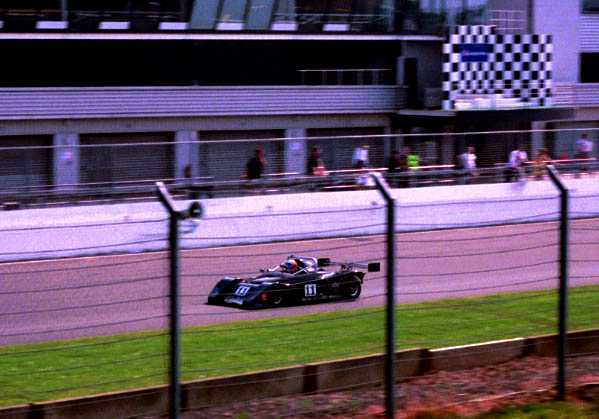 For engines producing greater torque a gearbox from the Hewland range could be fitted to the car with minor changes being made to the aluminium sheer plate. 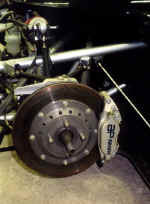 The car is fitted with an AP racing twin plate clutch. 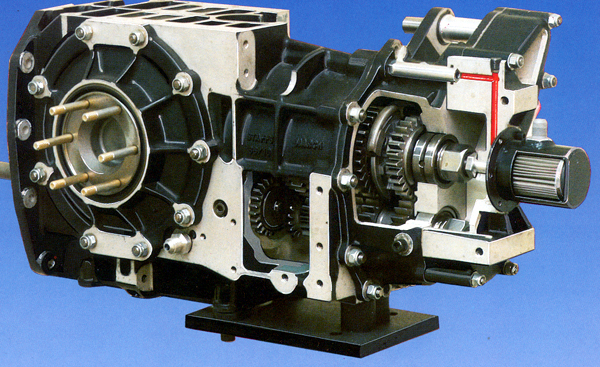 A hydraulic annular piston is used for clutch release. The clutch system is fitted with a dry-brake coupling to allow the rear end of the car to be removed and replaced without the need for clutch bleeding. 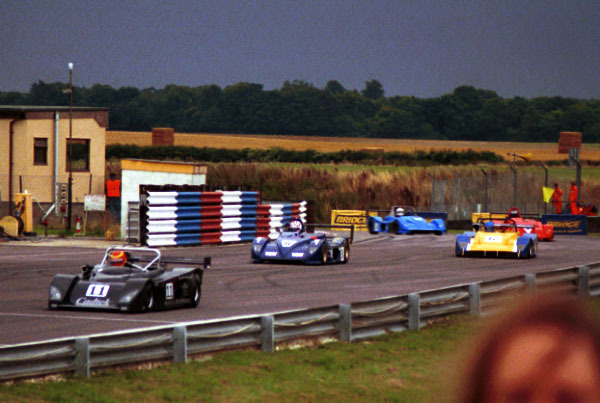 The bodywork is split into 3 main sections. 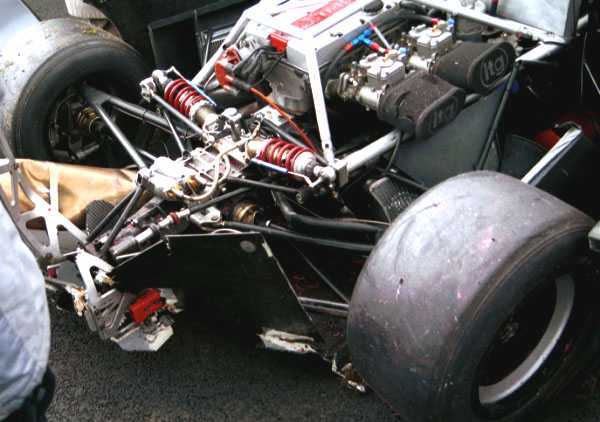 The central section remains fixed to the chassis. The nose and tail section are quickly removable upon operating the quarter turn and over-centre fasteners. 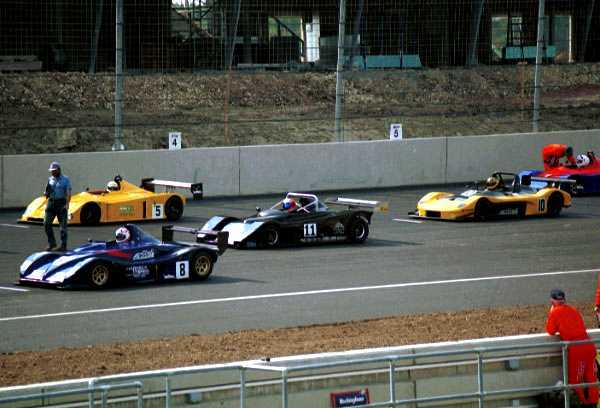 The bodywork is made from GRP (glass reinforced plastic). A single laminate is used in order to keep weight down. Pre-preg, oven cured bodywork would offer a weight saving in excess of 20kg. The additional cost is likely to be around �3000. The floor is made from carbon fibre skins with a foam core. The use of such materials results in very lightweight panels. The floor is split into four sections to ease maintenance. 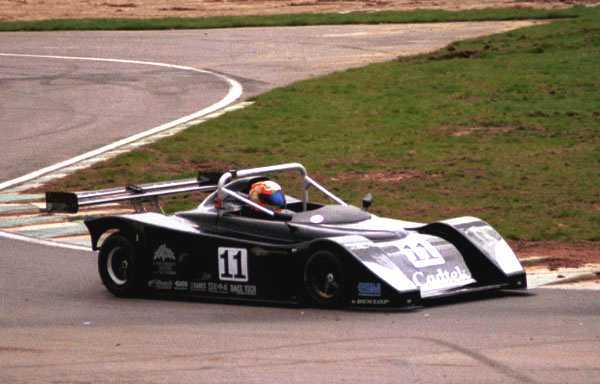 There are two main panels plus the front underbody (splitter) and the diffuser. Billet aluminium four piston calipers, front and rear. Braking is controlled via a cockpit adjustable balance bar. The rear braking system is fitted with a dry-brake coupling to allow the rear end of the car to be removed and replaced without the need for brake bleeding.